Well kids, March is officially over. With the closing of this dreary month, I pause to consider all that will be left behind. 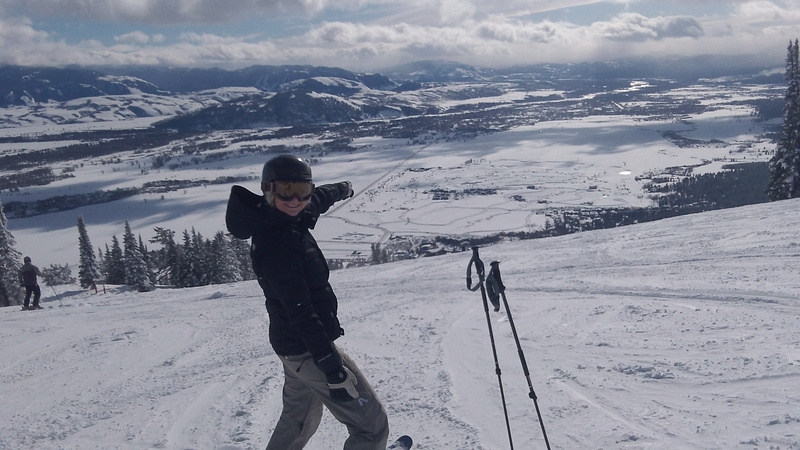 For starters, Jackson Hole Mountain Resort will be closing this weekend. 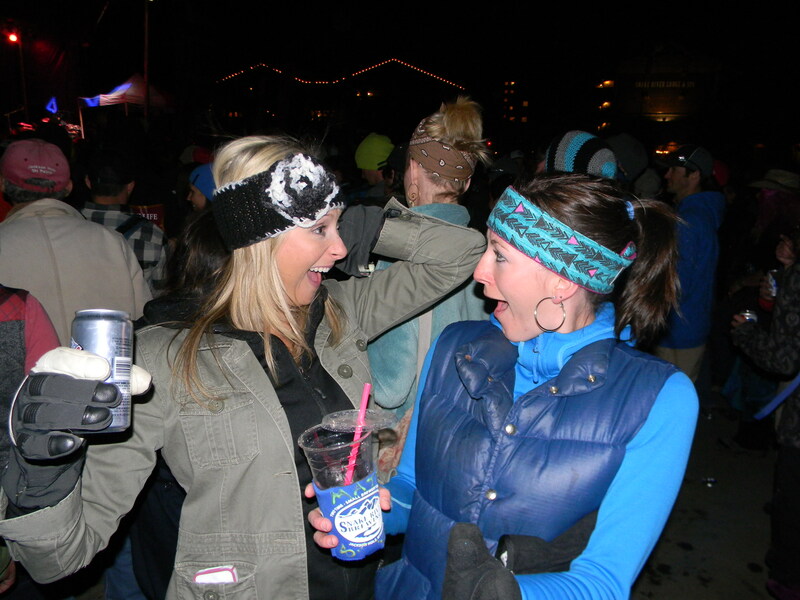 Au revior smelly snowboarders. À bientôt long tram lines. 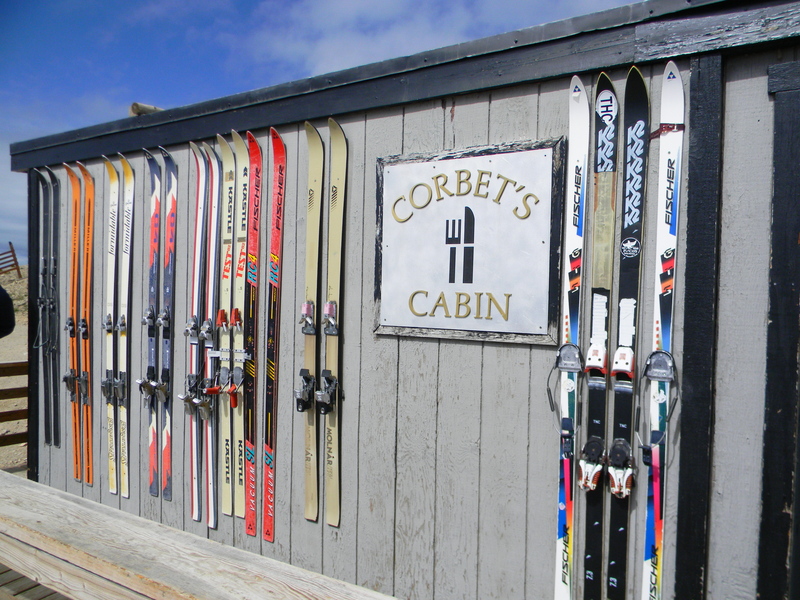 With the mountain closing, it means the beginning of what we call off season. 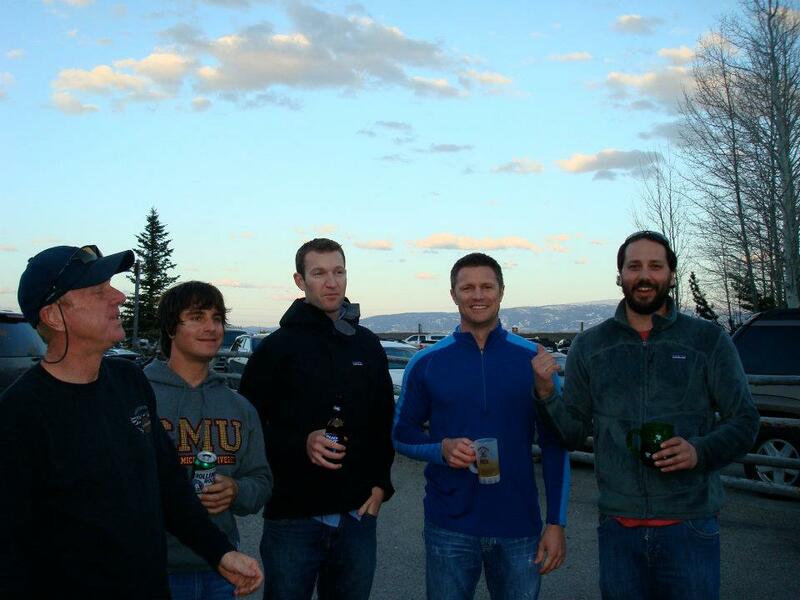 From April 8th until approximately June 20th, Jackson Hole Wyoming becomes a ghost town. Businesses close while locals travel the world, leaving Jackson a veritable Hole. Sure, the restaurants do offer great local specials and the weather will show promises of sun but the town loses a little of it’s bustle. So while the snow slowly melts and the tourists quickly fade away I ponder, “What shall I do?!”. I make plans. I party it up. I make the best of it. Firstly, Bryan’s parents Mary and Greg came for a visit! When Bry’s parents are here, it’s like we’re on vaca. We always do amazingly fun stuff, eat super delicious food and get a chance to catch up. Jackson had very uncharacteristic weather while they were here and we ended up skiing Sun Valley style (in the sun) but that’s always my favorite. 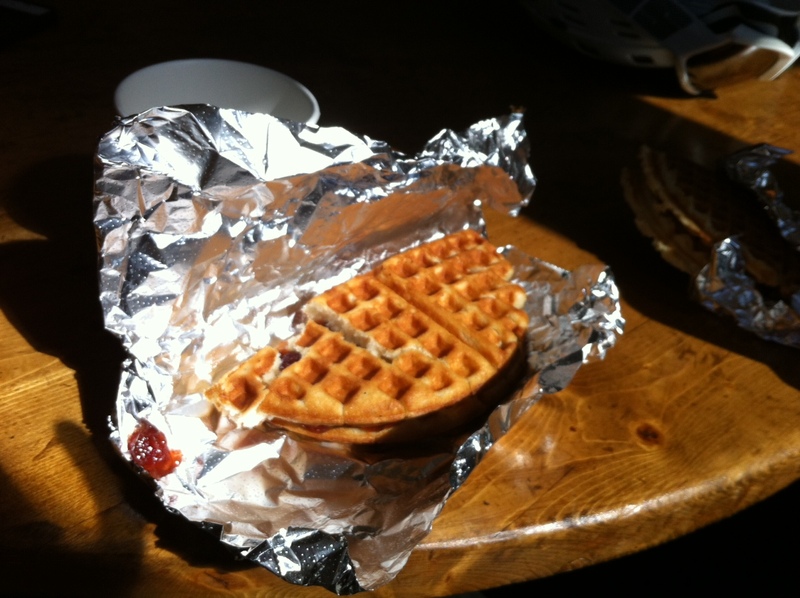 We also got to experience…drumroll…the waffles at Corbet’s Cabin! The three of us ordered one of each variety; strawberry jam, nutella and brown sugar butter. Yes, brown sugar butter. We had such a blast and I felt sad when they had to go, c’est la vie! 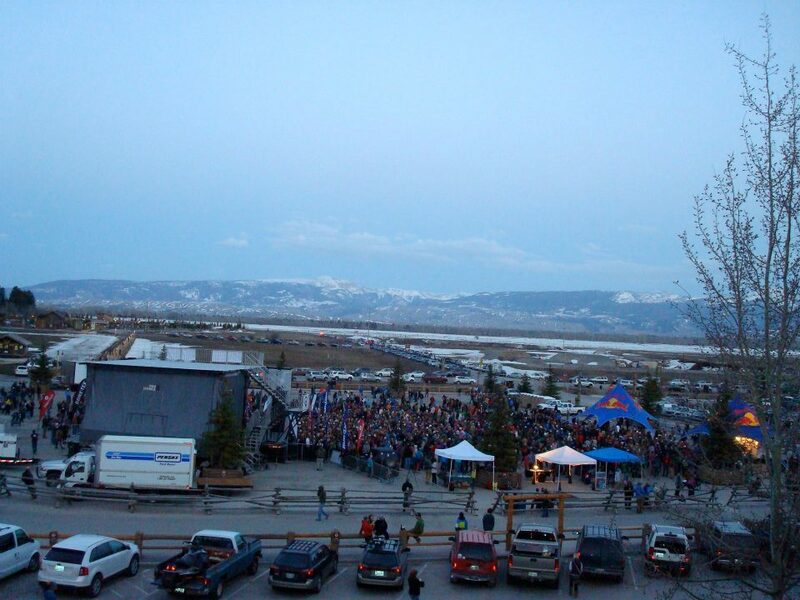 The next weekend was Mountain Fest! 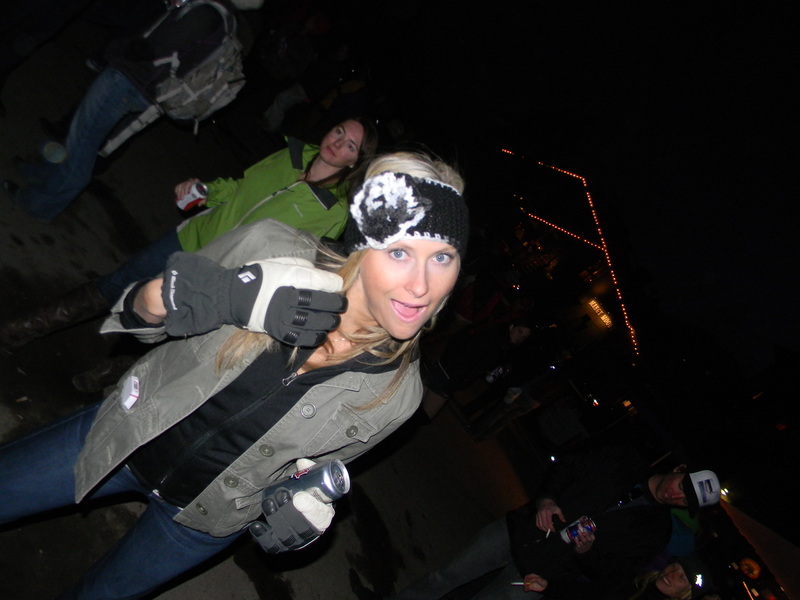 This blessed event takes place towards the close of every ski season and the resort throws one heck of a party. This year, we were treated to the musical stylings of G-Love and Special Sauce. Per tradition, Bryan, Holly, Matt and myself got a hotel room for the night in order to enjoy the night to it’s fullest without the worry of figuring out a DD. 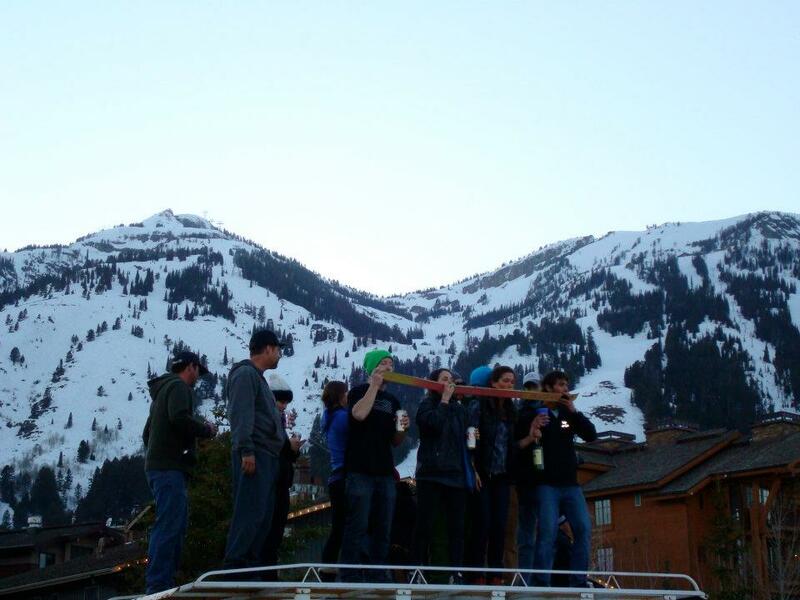 We started tailgating around 3:30 with the shotski at the ready. We danced with life. It was très étonnant. Other happenings? We got Netflix again (we are suckers) and have caught up a little more on The Office. Is it just me or is the show not the same without Michael? Still loved the season, especially when Pam makes up a position for herself. Brilliance. Groupon Goods (which is available to all) is my new bestie because of course, they don’t offer deals in Jackson hole. I am reading Middlesex by Jeffrey Eugenides and am simply loving it. I can’t stop eating Life cereal. Oh, and in case you’ve missed all the random Français I’ve been slipping in… I’m going to Europe! I plan on compiling a complete post titled, “AAAAAAAAAAaaaaaaaaaaaaaaaaaaaaahhhhhhhhhhh I’m going to Paris!! !” But I thought I’d spare all 20 of you from that for now. Until I know more, know this: I’m going with Nan and Megan (my mom and older sis) to Barcelona and Paris for 2 weeks in June. We will be going to Barcelona and Paris, spending time with my cousin, aunt and uncle while we’re in Barcelona. Paris has been a place I’ve wanted to visit my whole life. Moi à Paris? C’est Magnifique! Um What!!!!!! I am so excited for you to go to Paris, it is SO amazing you will probably die so just be ready. PS this is my first comment even though I check your blog like every day. I love it.